It’s been a while since I posted last. It’s been a very busy time of year. In addition I’ve been promoted to a new role which includes some management responsibilities. This means I need to be even more productive. All of this activity coincides with my old mobile phone contract reaching its conclusion. And you know what that means! After doing some little research, I decided on the new Nexus 4. Problem was ever since it’s release, the Australian site had constantly been sold out. So I researched both the Samsung S3 and the Motorola RAZR HD. 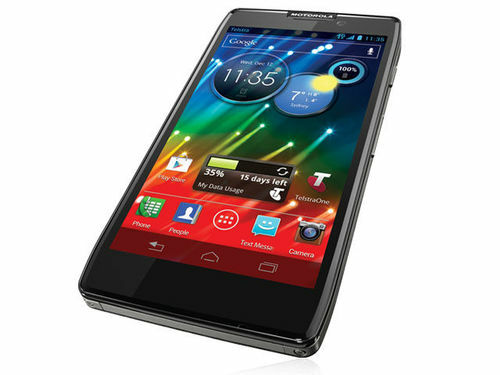 In the end I decided on the Motorola. The deciding factors in the end were (a) exceptional battery life of almost 2 days in standby mode, (b) kevlar chassis (I bang and drop stuff) and most importantly, ever since Google bought Motorola, (c) the Android updates are becoming more and more vanilla like, with less an less bloatware. I’m about a week in with the new phone and am really liking the simple things like Smart Actions. The improvement in Google voice actions is also pretty impressive. My experience is that Google Voice Actions is simpler, faster and more effective for productivity than Siri on my partners new iPhone 5 (we got new phones at the same time). Hopefully with my transition to my new role almost complete and with a new phone, regular updates will be the norm.